This is going to be the shortest writing update yet. Not much is going on, really, except for lots and lots of writing, and I'm out of here this weekend on a short vacation to celebrate my wife and I's 12th anniversary. Very good week, even though it was a short one. 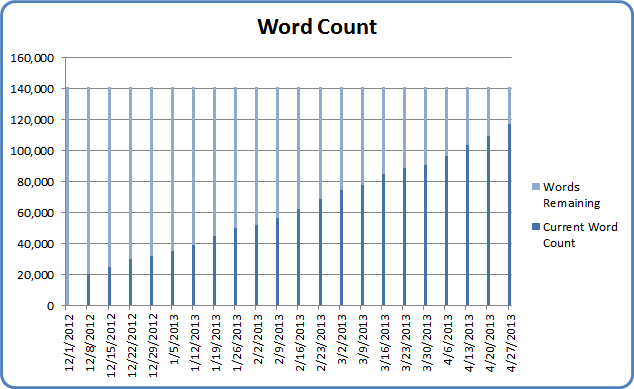 Best weekly total yet at 7,601 words. Not much else to say. I'm about 3 1/2 chapters from finishing this first draft. 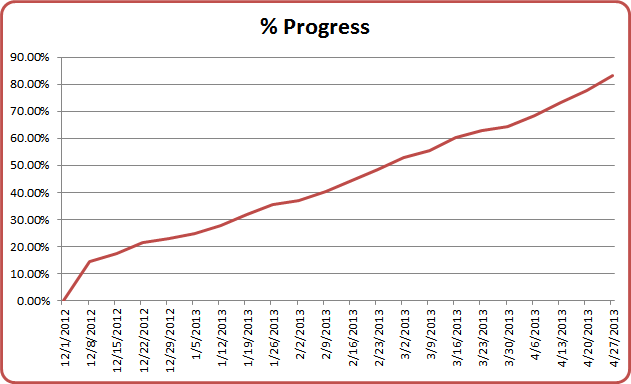 At my current pace, I expect to be done within a month. Then the editing begins! The only potential wrench I see in this plan is that I'll need to do some work on the second edition of The Hall of the Wood which I plan to release also in a month or so. It's good to have multiple projects in the cooker, though.